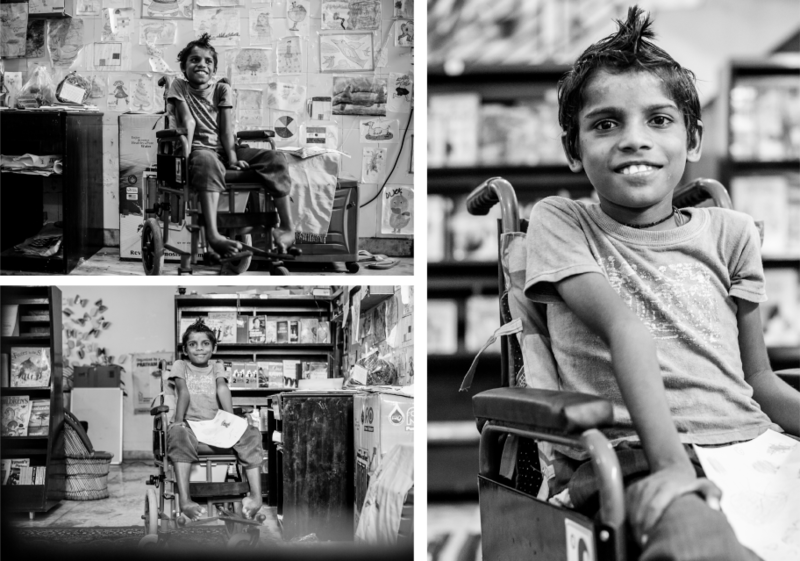 Rajaram was born with a disability and is unable to walk or use his hands. His father is a daily wage earner and his mother works as a housemaid. Rajaram has never received proper medical attention; he was kept in bed most of the time and carried around when needed. This is his first wheelchair and he hasn’t stopped smiling since.